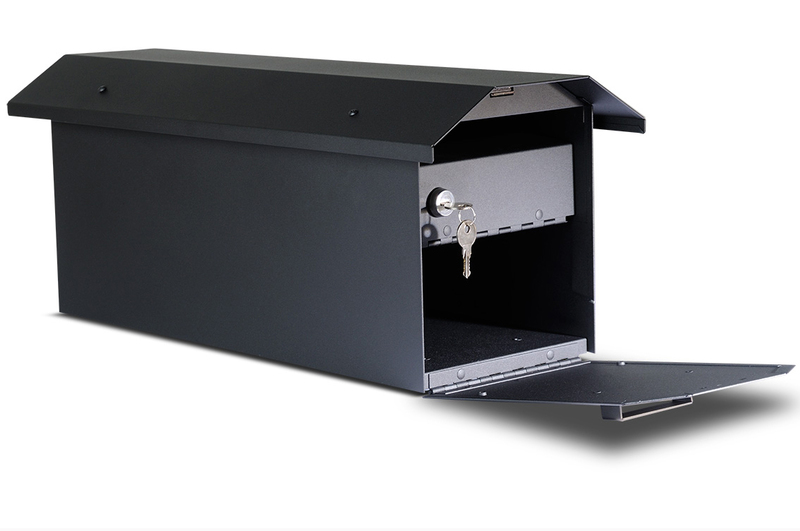 The Locking Transitional Post Mount Mailbox is a very secure and elegant mailbox - it provides a stylish welcome to your home or business. Our Locking Transitional Post Mount Mailbox is solid brass and available in eight finishes: New Verde, Old Penny, Architectural Bronze, Warm Brass, Old Brass and Textured Black along with Powder Coated Bronze and Powder Coated Gloss White. Mailboxes are not made with a flag - this is an option - there is a sliding flag available for this mailbox. This option must be ordered at the time the mailbox is made. Dimensions:Mailbox Measures: 7.50" x 19" x 9" to top of roof. Roof extends to 10.5" x 22"